No cats. No goldfish. Just dogs! 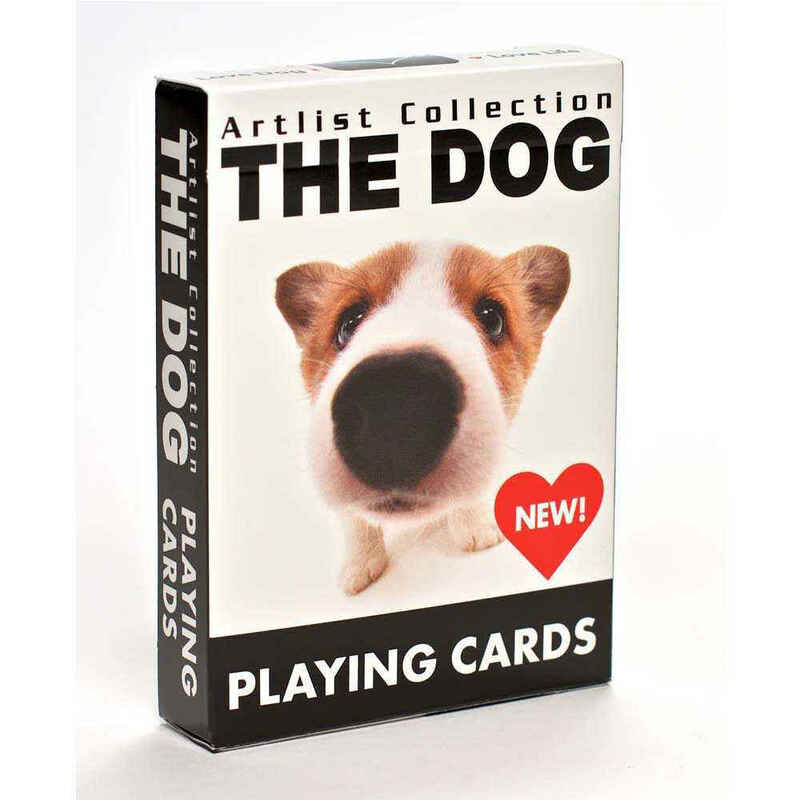 The Dog is the ultimate dog lovers game deck of cards and the number one best selling card in the country! This deck of 54 cards has pictures of 54 different breeds. Using a bright white background with each breed front and center (nose to camera), the shots are classic and cute. 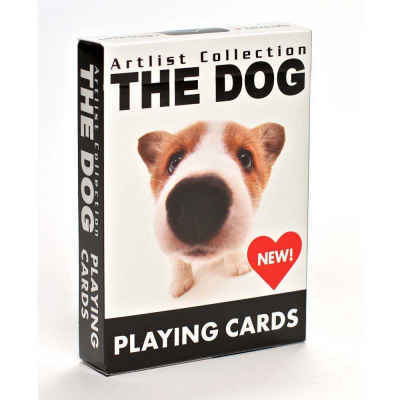 The Dog deck pf playing cards is produced by Bicycle® and Artlist International.